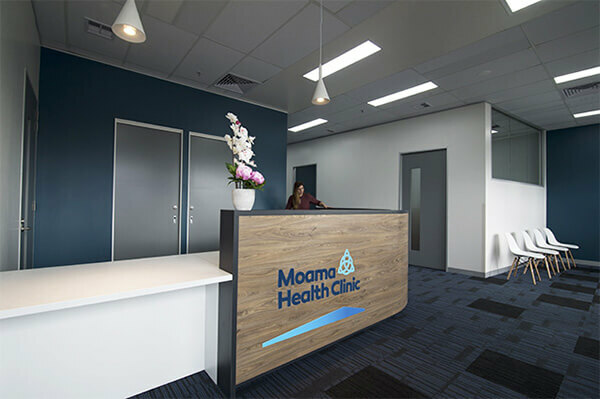 Moama Health Clinic is a medical GP located within Moama Shopping Centre, NSW. The clinic aims to provide the highest quality of healthcare to all patients through innovation, commitment and personalisation. 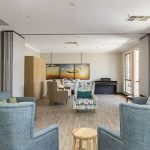 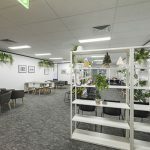 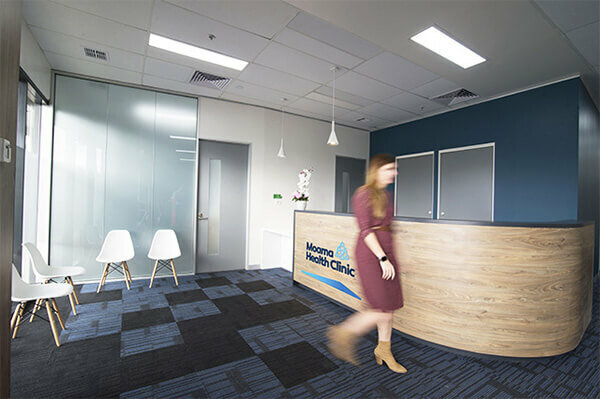 Moama Health Clinic presented Interite Healthcare Interiors with the need for a complete fitout in the shopping centre’s tenancy. 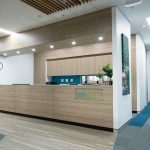 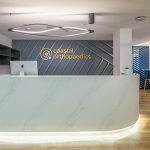 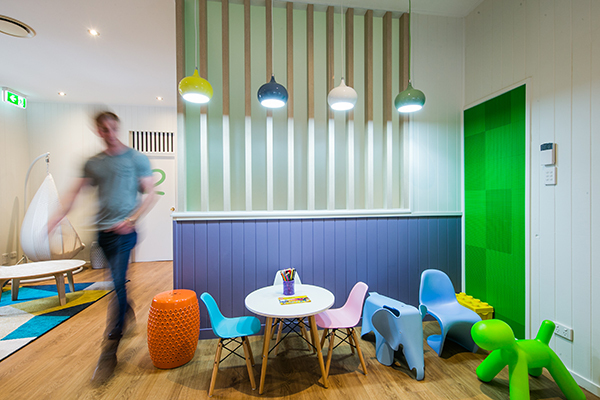 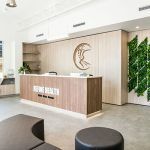 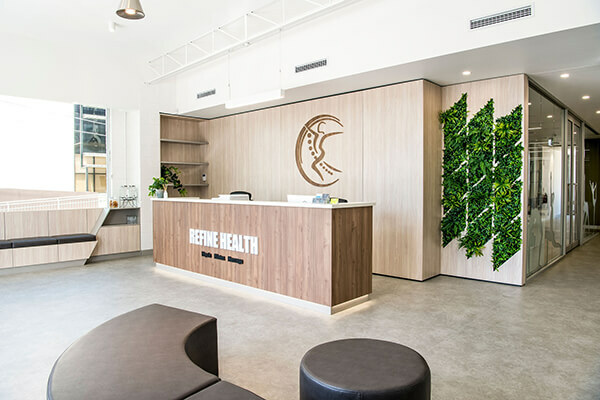 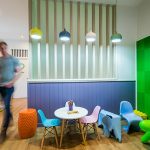 As a medical GP for the local demographic, the design concept delivered by Interite Healthcare Interiors showcased the importance and implementation of Human Centred Design (HCD), catering to all users of the environment. 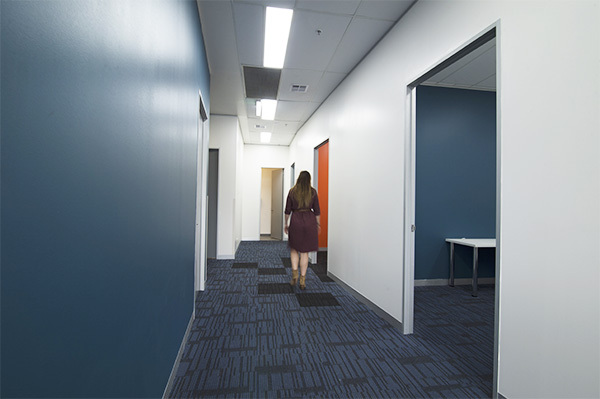 Through the collaboration with the client, the design and construction of the fitout was successfully achieved within scope and budget. 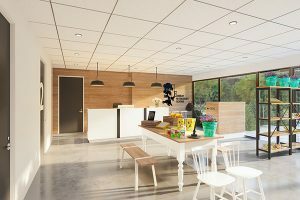 The design itself influence an exceptional client experience through privacy, comfort and functionality, by capitalising and maximising on natural lighting and appropriate ventilation to enhance indoor air quality. 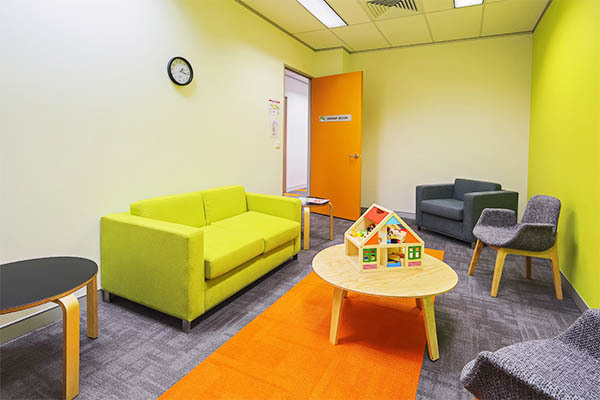 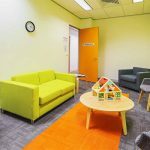 The new clinic features five consult clinics, a treatment room, a reception and waiting area, a children’s zone, and a staff kitchen and breakout area.